In Jehane Benoit’s Cooking With Dow, a beer cookery book I discussed a few days ago, she has a Welsh recipe called Sausage Bake. You split some pork sausages in the length, spread them with mustard and place in a pan with slices of cooked beet. Add cup of beer, sprinkle with pepper and nutmeg. Bake 30 minutes at 400 F. Nothing could be easier. Mme Benoit advises toasted French bread on the side with buttered green beans. As usual with this most experienced of chefs, this simple but toothsome country meal proves that a region’s typical products often go well together. Terroir, some people call it. Is Mme Benoit’s attribution of the recipe as Welsh correct? I have no doubt because first, beets are well-appreciated in Wales as we see e.g., from the website of Bodnant Welsh Food. That red is famously emblematic of Wales can only have encouraged this association, to be sure. Wales has always raised a variety of livestock including pigs, and beer is an old drink there. In former times, beer vied with mead (honey wine) as favoured drink of Wales. Indeed, a fusion of these from the Celtic mists, braggot, has been brewed for hundreds of years in Wales and some craft brewers have revived it. The Toronto-area brewery Trafalgar makes a potent version. This was par excellence a spiced drink, and when nutmeg therefore is added under Mme Benoit’s recipe, it fits perfectly into the historical picture. Any sausage could be used for the dish, lamb or beef or why not vegetarian? For vegans who eat dairy, the perfect choice is sausage made the old Glamorganshire County way: with cheese. In this historic county of Wales, the Glamorgan breed of cattle produced a unique cheese which was blended with leek – another symbol of Wales – and bread crumbs to make a meatless sausage. One sees a picture of it in this link from The Guardian in England, with a recipe. Today, any dryish, British hard cheese works well in the dish. 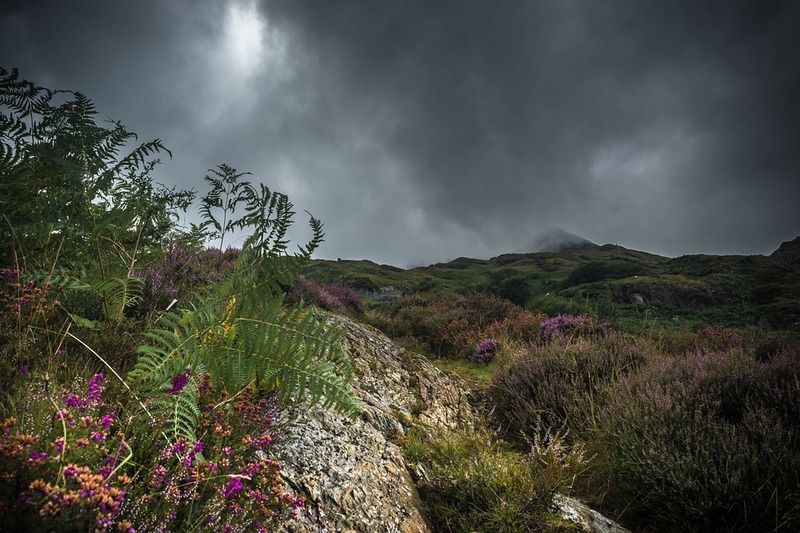 Let’s sing out for Wales and its rustic cuisine, one you can recreate wherever you live. 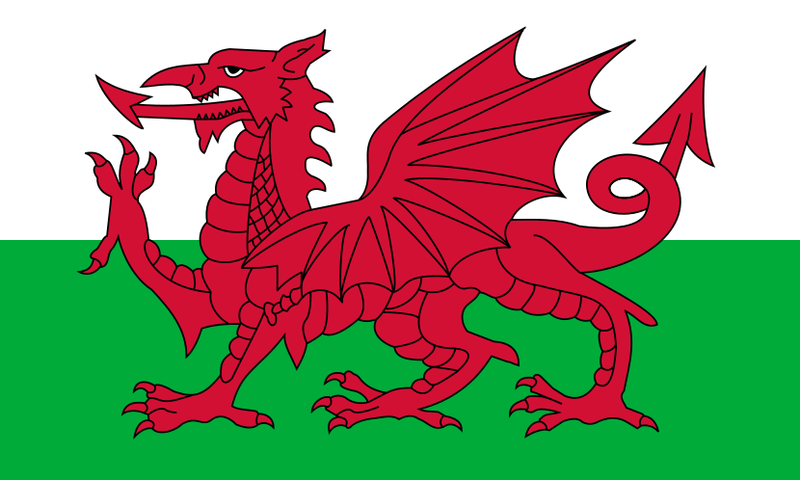 Note re images above: the first image, a representation of the national flag of Wales, is in the public domain, and was sourced here. 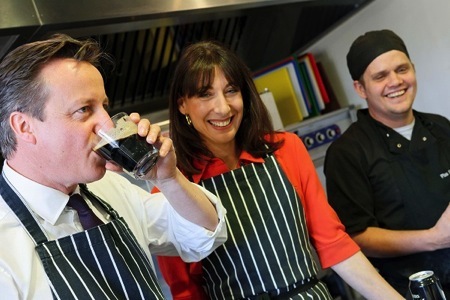 The second image, of Prime Minister David Cameron and his wife visiting Brains Brewery in Cardiff, Wales, is from CLH (Caterer, Licensee, Hotelier) News, sourced here. The last image, of the Welsh countryside, believed in public domain, was obtained here. Used for educational and historical purposes. All feedback welcomed. Anchor Steam Beer – Same as it Always was?